Select an image below to see our complete collection. 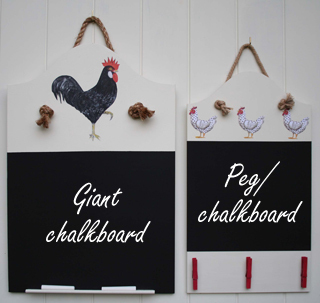 Choose from three different size Kitchen chalkboards. 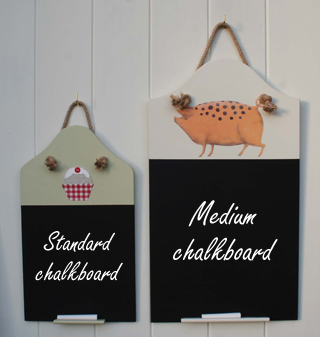 Each board is ready to hang and comes with chalk, easy to wipe clean with a damp sponge or cloth. The sizes do not include the rope.